Want to find out more about how we can help you attract and retain more customers? Or maybe you’re a business that’s interested in providing us with an offer? Whatever your query is, fill out this quick and easy form and we’ll aim to get back to you as soon as possible. Just fill out this quick form to receive a FREE demo“Marketers are, if nothing else, very, very busy,” (aabacosmallbusiness.com). How do you grow your business? A traditional marketer would say – increase your market share or increase wallet share from your existing customers. On the other hand, a modern marketer would say – develop customer loyalty, which will automatically produce increase in market share and wallet share. In the era of internet and smart phone apps, the consumption pattern is increasingly becoming, what most Indian marketers would call, Rural. That actually means that customers are becoming more connected and reliant on word of mouth: the good and the bad of a brand goes around more quickly than we anticipate; heterogeneous: customers love personalisation and customised solution that exactly fits their needs and the purchase doesn’t happen unless customers see an essentialvalue in it. 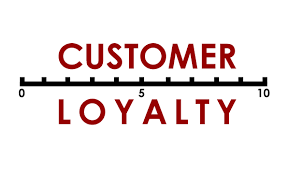 It is said that a loyal customer would bring revenues, on average, worth 10 times his initial purchase. Now, who wouldn’t want that!? So, if you’re responsible for customer retention, the last thing you need is a loyalty program that doesn’t perform. It needs to achieve the objectives you set for it; keep customers coming back for more and deliver a return on investment. To ensure you tick all of these boxes, will depend on the background ‘homework’ you put in before the roll out of your loyalty program. But, time isn’t always on a marketer’s side… which is why the team at Entice has compiled the ultimate cheat sheet for setting up a successful loyalty program. Read it, print it out, scribble all over it and use it to ensure your loyalty program ‘does what it says on the tin’. This cheat sheet is designed to ensure the process is straightforward, stress-free and effective. But if there’s anything else you’d like to chat through with us, please don’t hesitate to get in touch. The first step (before the research, implementation and roll out of a loyalty program can begin) is to know how much money you have to spend. Perhaps this can come out of your existing marketing budget, in which case you can proceed on the basis of your own calculations. Or, you may need to request extra budget from your brand’s senior management team. If it’s the latter, it will no doubt be easier to secure the funds if you have a thoroughly researched and evidenced business case (see point 6). But, an initial indication of likely budget parameters is important, so that you can investigate loyalty programs that are affordable* to you. *Remember – even low-margin brands can afford loyalty programs (www.forbes.com). Whilst instinct is important, very few effective marketing decisions are made purely on the basis of a ‘hunch’. Relevance has long been crucial to overall marketing success (ashdowngroup.com) therefore you need to know what your customers want from a loyalty program, what they will engage with and what will successfully ensure their loyalty. What are my customers’ interests? Which types of rewards are likely to motivate them?Which communication method are they most likely to engage with? What is their preferred redemption method? Once you’ve gained these insights, you can devise the list of criteria that the chosen loyalty program must fulfil. Savvy marketing departments already pay significant attention to their spend, to ensure any activity has a positive impact on their brands’ bottom line. But return on investment is likely to matter more than ever in the wake of the Brexit decision (cityam.com). What does it need to achieve? e.g. What is the timescale for these objectives? Who is responsible for monitoring/achieving these objectives? Are there any interim targets? e.g. Once set, these should be referred to consistently as the loyalty program unfolds. Investigate the types of loyalty programs that exist in the marketplace and then focus your research on finding the best one. This process shouldn’t be rushed. A variety of rewards, to suit all customer demographics – choice is key! Provision of the most generous and exclusive discounts, that can’t be found anywhere else (not even on popular discount sites). Proven success – has the loyalty program already reaped success for brands? Account management support with everything from your loyalty comms to ongoing reporting. Our research shows that customers, more than anything, want a simple and straightforward way of receiving loyalty benefits so keep this at the forefront of everything you do. Don’t just browse suppliers’ sites – speak to their teams to get a greater understanding of how the loyalty program works, how helpful they’re likely to be, and if their scheme truly suits your needs. Elaborate upon the findings from your own customer research – can they evidence how their program will ‘fit the bill’? Ask for a demo – seeing is believing after all. The due diligence you’ve carried out. Keep the business case succinct and impactful and present it to your MD in person. Don’t rely on them to read dozens of pages of rationale. Stick to the facts, the bottom line impact of your proposal and the urgency of your plan. 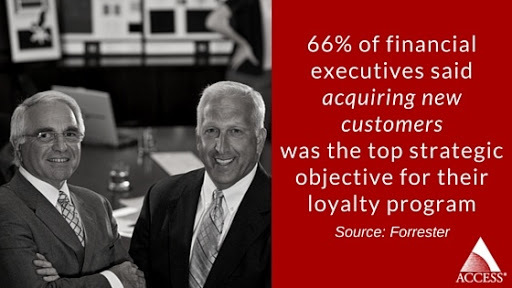 Before you roll the chosen loyalty program out to your customer base, ensure you have ‘buy in’ from your own team first. The marketing department needs to understand the ‘ins and outs’ of the scheme, how it works, why you’ve chosen it, what it needs to achieve and the part they play in making it a success. Also, think about any other people you may need to speak to, such as the team responsible for your website if you choose to link to the redemption site from your own domain. Ensure everything is in place and rigorously tested before you ‘go live’. Any loyalty program provider worth their salt is likely to be able to help you with this process, by providing redemption stats, brand specific assets, digital resources, marketing collateral and even someone to come along and explain it all. 9. Roll out – champion the launch! Let your customers know about the loyalty program and don’t be shy in championing why it’s great! Too many brands keep their schemes relatively under wraps, choosing only to mention them when a customer is about to leave. But our own research shows this actually doesn’t go down very well with consumers at all. Prior to your launch think carefully about your comms – the branding, the message and your communications methods. If your customer base is active on social media, for example, ensure you generate lots of conversation on these channels. If you’re targeting a more traditional or elderly demographic, letters may work best. If you’ve chosen the right loyalty program your new provider should be able to help you with this. Keep talking to customers about the scheme too. Not only is there a chance they may miss the initial launch communications; they may also need a little encouragement or reminder to take part – something that brands also received praise for during ourconsumer retention research. Remember that, if you’re nervous about fully committing to a new scheme, many providers will offer a three month trial. Customer analytics is different than many business metrics you’re probably familiar with: It focuses on customers’ needs rather than on the company’s needs. Through customer analytics, you can understand what drives customer satisfaction, customer loyalty, and repeat purchases. You’ll also understand how your customers differ or are the same and how that may affect different pricing strategies, features, and marketing campaigns. Descriptive: Descriptive data includes demographic data such as gender, age, geography, and income. It also includes self-described attitudes and preferences toward products, categories, and technology. You can collect this data from purchases, registrations, surveys, interviews, and contextual inquiries. Behavioral: Behavioral data is the general pattern customers exhibit when using your products and services. It includes making purchases, registering, browsing, and using various devices for those actions. Interaction: The interaction data includes the clicks, navigation paths, and browsing activities customers take on websites and software. Attitudinal: Preference data, opinions, desirability, branding, and sentiments are usually captured in surveys, usability tests, and customer interviews. Voice of customer study: This gives you a way to obtain the basic demographics of the people who purchase, make repeat purchases, and recommend your company and products to friends. Customer segmentation:Segmenting customers by demographics, behaviors, and profitability gives you better ideas on how to better serve current customer demographics. It also enables you to discover any unmet needs and deliver better products and services in the future. Persona development: A persona embodies the key characteristics of a customer segment by highlighting salient demographics, goals, and top tasks for development teams. Personas represent fictional customers but should be based on real data obtained from customer segmentation analyses, ethnographic research, surveys, and interviews. Journey mapping: A customer journey map helps identify problem areas customers encounter while engaging a product or service and can locate opportunities for improvement. It can also help unify often disparate and competing efforts within the same organization by providing different departments with a single document that maps the customer’s entire experience with a product, service, or company. Top-task analysis: A top-task analysis helps separate the critical few tasks from the trivial many by having customers pick their most essential tasks. Targeting your efforts on significant tasks and delivering a solid experience where it has the biggest impact means more satisfied customers and customers who are more willing to repeat purchase, return, and recommend to friends. Usability study: You find what customers find difficult about your product or website. Observing how just a few customers use the product can uncover most of the common problems with an interface. Findability study: A findability study is a specialized usability study that focuses on the taxonomy (labels and hierarchy) and ignores distractions such as the design, layout, and search capabilities. Conjoint analysis: A conjoint analysis produces an accurate view of customer ratings by isolating which features have the biggest impact on preference. It’s typically used in the product development stages to understand which features to build or how changing price or options affect customers’ future behavior. Key driver analysis: A key driver analysis identifies which features contribute the most to customer satisfaction, customer loyalty, or any other key variable of interest. Have customers rate their satisfaction with the most important features or functional areas of an experience. Gap analysis: In a gap analysis, customers rate or rank the most important features and aspects of a product or service. Then, customers rate or rank how satisfied they are with each of the features. For each feature, you find the “gap” by subtracting the average satisfaction rating from the average importance rating. Pick a persona or segment. With customers segmented by demographics and behavior, you have many of the important pieces of the customer journey ready. Construct a map around a sequence of events that happen in a timeline. This is usually awareness, consideration, preference, action, and loyalty. Construct a sequence of major steps the customer takes from awareness to post-purchase. The steps are more finely grained segments to describe the sequences through the journey. List the physical or digital interaction your customers experience during their relationship life cycle with your product or service: websites, salespeople, store, TV and radio advertisements, search engine results, direct mail, email, and social media. Identify customer questions at each stage. Ask your target customers what questions they have about the product or service. This helps craft branding messages, opportunities for product improvements, and the metrics you should collect to determine how well you’re addressing each stage. At each stage (awareness, consideration, preference, action, and loyalty), understand where the customer, or prospective customer, encounters barriers or friction to making a purchase or repeat purchase. Define metrics for each stage. Look for metrics that are already being collected in your organization or by a third party, or collect them yourself. Identify who is accountable for each stage in the journey. Be sure someone is accountable to each stage, and ideally, each step. Different disciplines, from product development to marketing to usability, know their domains and metrics best. Look at each of the pain points as an opportunity for innovation and improvement, and not just for damage control. Plan on revisiting your journey map to see what information has changed and what needs to be updated. Previous Post The Core Capability of Subscription Business Model And Innovation That Pays off. Next Post Brand Niche Marketing & Strategies.